Stock up on gift bags! 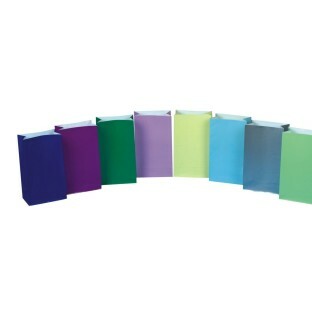 6" x 3-1/2" x 10-1/4"
Coated paper gift bags come in assorted and solid colors. 6" x 3-1/2" x 10-1/4". Choose purple, blue, white, yellow, red or green. Pack of 50.